She wouldn't have any direct power over which actors and actresses get the contracts to play the roles. That power ultimately rests with the studio, and it's usually the producers and the director who ultimately decide. 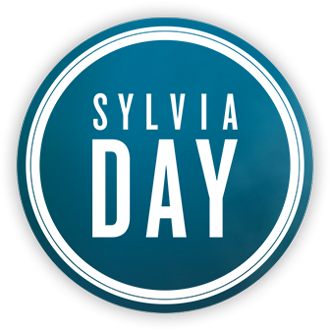 As the author of the series, and someone with star power herself now, Sylvia has a lot of influence to be able to sway fans -- sway her own fans as an author as well as help sway Cavill's fans as an actor. Her influence gives him a huge advantage among the pool of actors who would fight to land the role. Time in a bottle by Jim Croce. Eros Ramazzotti and Anastasia "I belong to you"
Â Love that song!!! Good call! Against All Odds, by Phil Collins. Mariah Carey does a nice cover of this song, too. How can you just walk away from me when all I can do is watch you leave? "I Want Candy" by Banarama but change candy to chocolate. It's a song called "ghost"
I just heard another song that reminded me of Crossfire. And I was made for youÃ¢â‚¬Â¦. Here's one I've been hearing lately , maybe for that wednesday that Eva wrote Gideon that email. You by The Pretty Reckless for when Eva breaks up Gideon in RIY. Interests:Reading, swimming, dancing, wine tasting.. Anything Fun...!! Late nights & early mornings by Marsha AmbrosiusÂ Â --Â "I'll be coming back to you boy you just tell me when." Â "Let me do you all night long"
I thought about The Police "Every Breath You Take"
but Phil Collins' "Against All Odds" is just perfect!!! !